Health care providers and employees who report fraud play an incredibly important role in protecting the integrity of our health care system. Under the False Claims Act, the United States government can recover money and collect fines from companies, agencies, and providers who commit health care fraud. The qui tam, or whistleblower, provisions of the False Claims Act protect people who come forward to report health care fraud from retaliation, and allow whistleblowers to receive a portion of any amount the government recovers from the wrongdoer. Some health care fraud falls within the scope of the False Claims Act because the reported practices directly violate government health care programs such as Medicare or Medicaid. For example, if a hospital bills Medicare for an unnecessary MRI scan, the hospital is essentially stealing from the federal government, and therefore committing fraud. In other cases, the reported conduct may constitute indirect fraud against the government. One common example is what is referred to as “red-lining,” where insurance companies discourage enrollment by persons they deem at risk for serious illness. Red-lining constitutes fraud because Medicare pays insurance companies that provide supplemental Medicare insurance coverage on a per-patient basis, regardless of the current health status or history of the person. Under such payment systems, the insurance company can artificially inflate the amount they bill Medicare by only accepting persons it deems healthy. Our firm can help you enforce your rights and recover money under the False Claims Act in cases involving health care fraud. We work these kinds of cases under contingent fee arrangements, which means you owe us nothing unless we are able to recover money for you. To learn more about your rights, we encourage you to review our Whistleblower Rights FAQ page, and to speak with one of our attorneys. You can call us at 612.486.5540, or use our contact form to request a free case evaluation. Your privacy is important to us, and we promise to treat any information we receive as strictly confidential. Raytel Corporation provided a device that tested pacemakers. The pacemaker patient would attach one end of the device to his/her pacemaker, and the other end to a telephone. The device used the phone line to transmit electronic information about the pacemaker to Raytel, where its employees conducted the tests to determine whether the pacemaker was properly functioning. 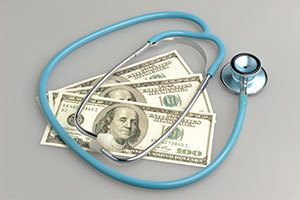 Medicare paid Raytel $45 per test, and for years Raytel billed Medicare for 3,000 to 5,000 tests every week. The tests were supposed to last for 90 seconds, but Raytel ordered its employees to eliminate 30 seconds of the test so it could perform more tests and bill Medicare for more money. In some cases, Raytel billed Medicare for tests that weren’t even performed. The whistleblower, a former employee, filed a qui tam lawsuit under the False Claims Act against Raytel for its fraudulent schemes. The government recovered $11.5 million from Raytel, and the whistleblower was rewarded $1.62 million for coming forward with information about the illegal Medicare fraud. Click here to request a free case evaluation. The information contained in this web site does not constitute legal advice.